Rhonda has been re-homed to a lovely senior citizen home where she spends part of her day on the couch and the other part chasing tennis ball! 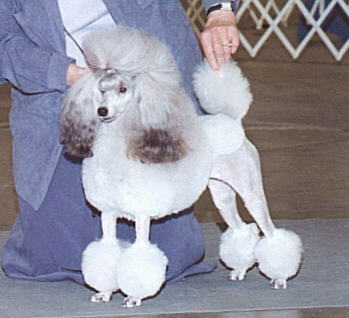 She was our first poodle and she set the bar high for miniature poodle expectations! Pedigree of " Safranne's Silver Rendezvous"